News & Announcements | Drubin/Barnes Lab | Welcome to the lab of David Drubin and Georjana Barnes at the Univerisity of California, Berkeley! Congratulations to Ross Pedersen on his new paper “Type I myosins anchor actin assembly to the plasma membrane during clathrin-mediated endocytosis“, now published in the Journal of Cell Biology. 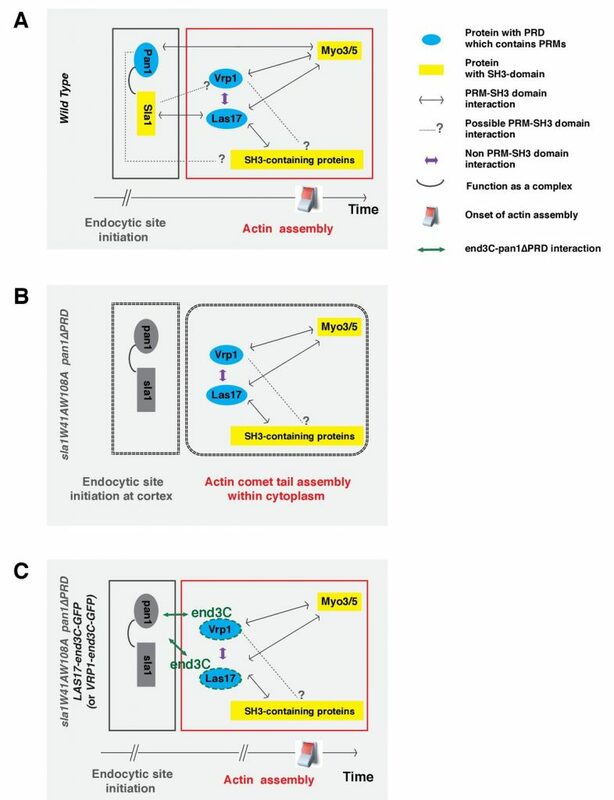 Model for Myo5 function in anchoring actin assembly to the PM at endocytic sites. 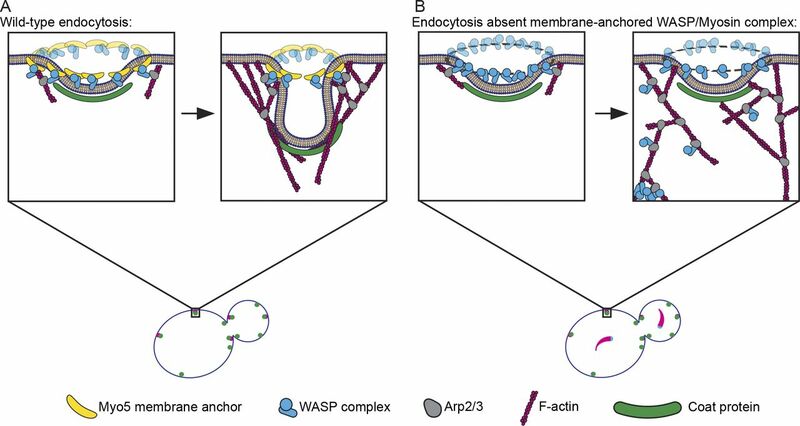 (A) Myo5 (yellow bananas) restricts activation of the Arp2/3 complex (gray avocados) by the WASP complex (blue widgets) to a discrete location, generating an actin array that grows predominantly in the same direction to generate force. (B) Absent this critical linkage, Arp2/3 activators splinter off of the PM, leading to Arp2/3 complex activation throughout the actin network. Delocalized Arp2/3 complex activation results in disordered actin arrays that fail to produce force. In the most catastrophic cases, the Arp2/3 complex and its activators pull away from the PM completely to form cytoplasmic actin comets (lower left of zoom). This entry was posted in Uncategorized on February 11, 2019 by Julian Hassinger. 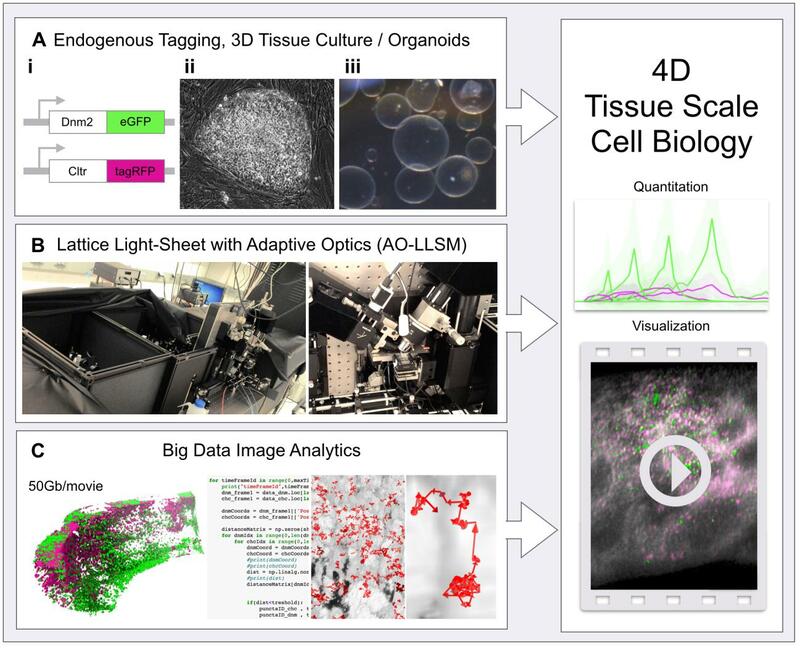 Congratulations to Joh and former lab member Daphne on their paper “4D cell biology: big data image analytics and lattice light-sheet imaging reveal dynamics of clathrin-mediated endocytosis in stem cell derived intestinal organoids“, now published online in Molecular biology of the cell. A new level of 4D tissue cell biology is unlocked as recent advances from three fields come together. 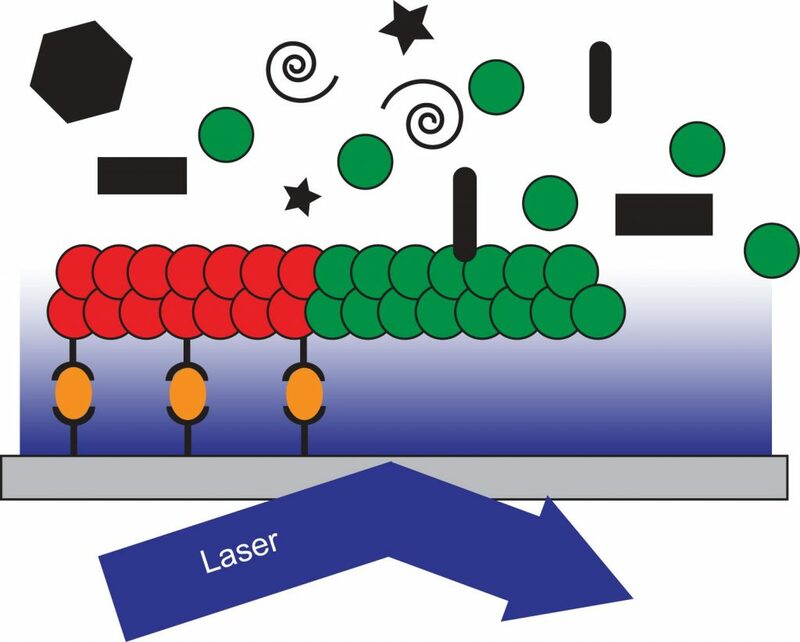 (A) Endogenous protein tagging using genome editing (i), stem cell biology (ii) and 3D tissue/organoid culture (iii), (B) 4D non-invasive advanced fluorescent imaging with the lattice light-sheet microscope with adaptive optics (AO-LLSM, left: full view of the microscope, right: focus on the characteristic objective arrangement) and (C) advances and software in big data image analytics. (Right) Combination of these elements allows unprecedented quantitative analysis of subcellular events within live tissues in 4D. This entry was posted in Uncategorized on September 25, 2018 by Julian Hassinger. 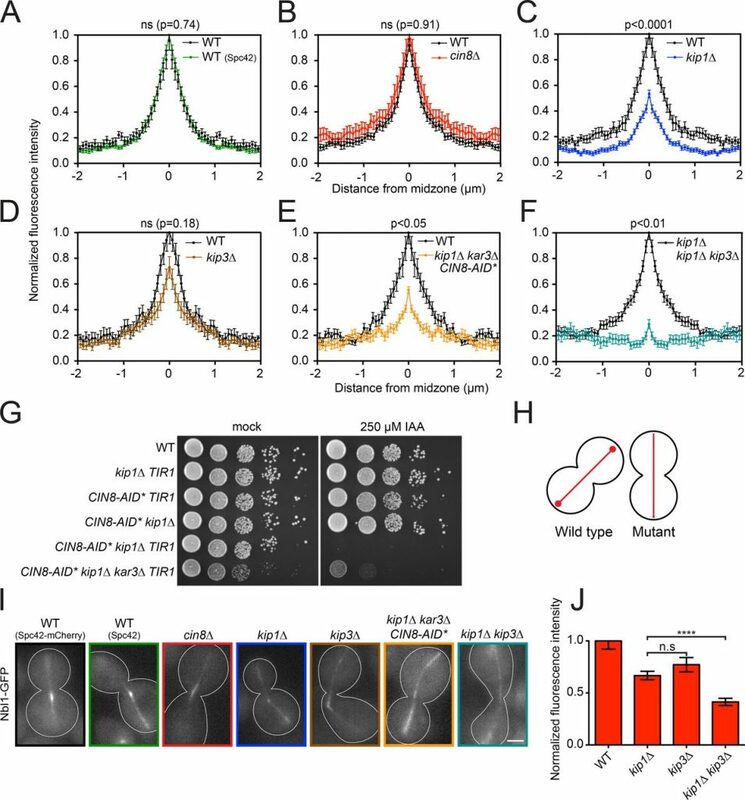 Congratulations to Zane and Jonathan on their paper “Microtubule dynamics regulation reconstituted in budding yeast lysates“, now accepted and online in the Journal of Cell Science. Recreation of Microtubule Dynamics in Budding Yeast Lysate. A reaction chamber is prepared by adhering GMPCPP-stabilized, rhodamine-labeled porcine microtubule seeds (red) to a glass coverslip through a biotin (black stems)-neutravidin (orange ovals) system. Whole-cell lysate from GFP-tubulin (green) expressing yeast strains is flowed into the chamber and incubated to allow for the polymerization of microtubules. Growth and dynamics of single microtubules is observed by TIRF microscopy in the context of other soluble proteins found in the cell (black shapes). Check out iBiology for stories of cutting-edge research in the life sciences that are available for free to a global audience. This entry was posted in Announcements on August 3, 2018 by Julian Hassinger. The Drubin/Barnes lab would like to send our fondest farewells to Daphne, Itziar and Emily who are moving on to exciting new positions! Daphne Dambournet is now working as a Cell line engineer at Memphis Meats working to grow sustainable cultured meat. Itziar Ibarlucea has taken a position as a post-doctoral associate in the laboratory of Jeffrey Ravetch at The Rockefeller University. Emily Stoops is now working as a Scientist at Calico where she is working to combat aging. This entry was posted in Announcements on July 12, 2018 by Julian Hassinger. 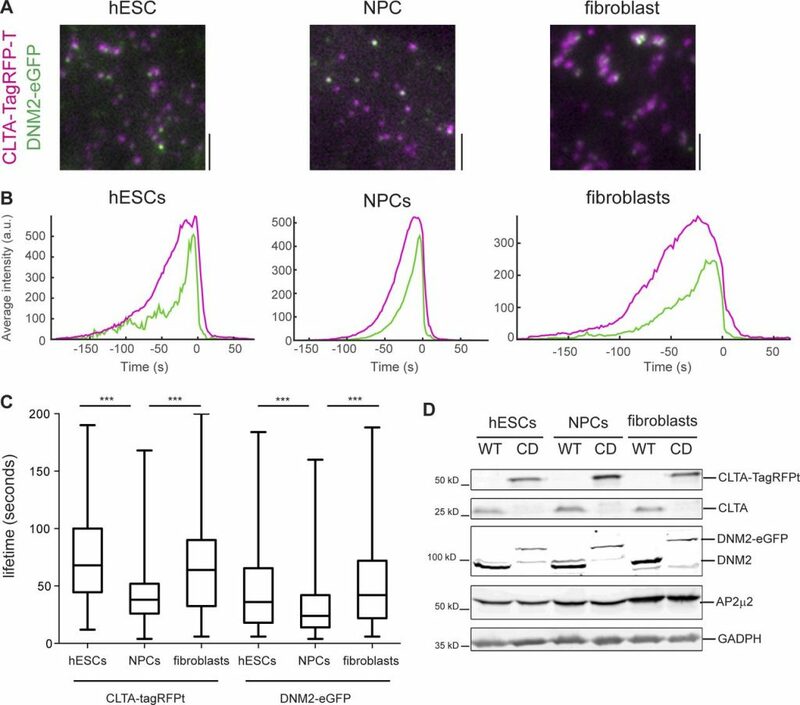 Congratulations to Daphne on her paper “Genome-edited human stem cells expressing fluorescently labeled endocytic markers allow quantitative analysis of clathrin-mediated endocytosis during differentiation“, now published in the Journal of Cell Biology. This entry was posted in Uncategorized on July 6, 2018 by Julian Hassinger. Paper on lattice light sheet w/ adaptive optics featuring stem-cell derived organoids now published in Science! 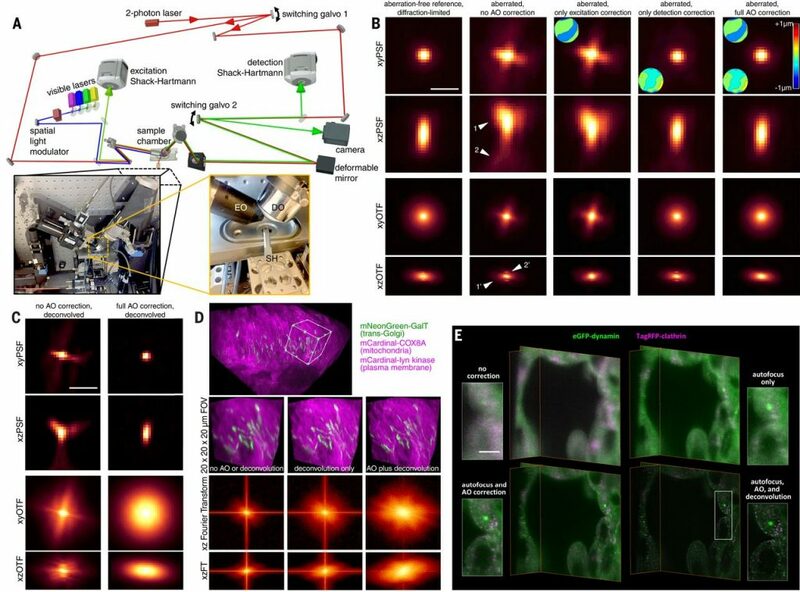 Congratulations to Daphne and collaborators in the Hockemeyer Lab whose work on genome-edited, stem-cell derived organoids is featured in a new paper in Science on imaging using lattice light sheet with adaptive optics. This entry was posted in Papers Published on April 20, 2018 by Julian Hassinger. Congratulations to Itziar on her paper “Kinesins relocalize the chromosomal passenger complex to the midzone for spindle disassembly” which is now published in the Journal of Cell Biology. This entry was posted in Uncategorized on March 21, 2018 by Julian Hassinger. 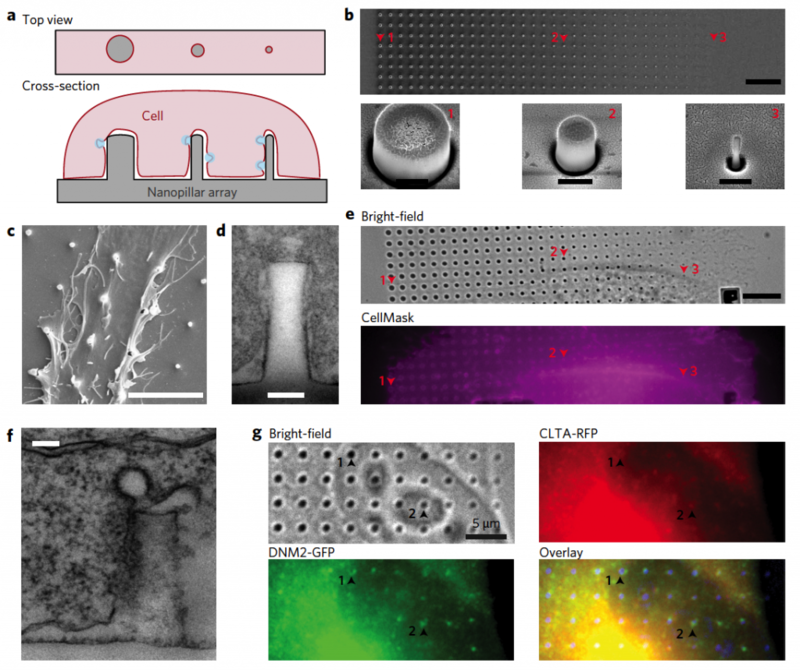 Congratulations to our collaborators in the Cui Lab, Matt Akamatsu, and former lab members Jessica Marks and Alex Grassart on their paper “Nanoscale manipulation of membrane curvature for probing endocytosis in live cells” now published in Nature Nanotechnology. This entry was posted in Papers Published on June 30, 2017 by Julian Hassinger.